Professor Hathaway is right. The international refugee system is broken and needs to be fixed. But he is naïve to believe that a pre-determined, global burden-sharing scheme based on the 1951 Refugee Convention can be set up to solve the world’s refugee problems. Firstly, global solidarity is in short supply. Earlier this year I was in Austria, a country which had received without a whimper 180,000 refugees from Hungary in 1956 and 160,000 refugees from Czechoslovakia in 1969. In February it introduced a maximum limit on asylum seekers entering the country at 37,000 a year. When I asked my Austrian interlocutors why this “differentiated response”, they listed concerns about security and cultural integration—and historic fears about Muslims going back to the Ottoman era! Irrational emotions have no place in Hathaway’s reasoned model but they weigh heavily on democratic leaders looking towards winning the next election. Experience shows that burden-sharing arrangements work best when they are tailor made, time limited and specific, and not global and general. Secondly, experience shows that burden-sharing arrangements work best when they are tailor made, time limited and specific, and not global and general as Professor Hathaway suggests. An early example is the 1951 Convention itself. It was born as a limited response to Europe’s refugee problems in the aftermath of World War II and the onset of the Cold War. It was highly successful in ensuring asylum, resettlement and naturalization in western countries for refugees fleeing communism in Eastern Europe and the Soviet Union. Solidarity was strengthened by common ideological and geopolitical interests as well as ethnic and religious affinity between the refugees and their hosts. The 1951 Convention was less successful when it went global. The 1969 African Refugee Convention is an example of burden-sharing, geared to meet regional needs. It broadened the refugee definition found in the 1951 Convention to match the realities of mass exodus in Africa, and promoted voluntary repatriation alongside asylum and integration; in doing so, it helped African governments to forge a common response to Africa’s refugee problems. But long-standing refugee problems in Africa also expose the limits of regionalism when it is unmatched by international solidarity. 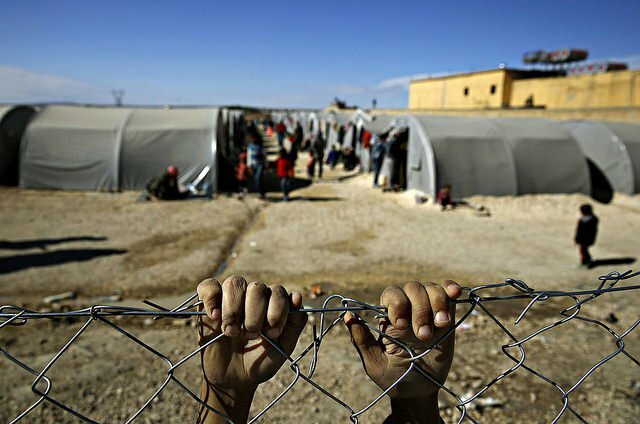 The international community needs to do more—much more—to fight the lethal mix of political instability, entrenched conflicts and abiding poverty that uproot people and prevent them from returning home safely. Thirdly, successful burden-sharing arrangements require judicious compromise. Humanitarian instruments like the 1951 Convention and the 1969 African Refugee Convention serve an invaluable purpose by embedding the principles of refugee protection in any action to solve refugee problems. But finding solutions to refugee problems requires more than principles—it requires innovation, flexibility, a keen understanding of what drives governments to action and how political interests can be harnessed for the benefit of refugees. The Comprehensive Plan of Action for Indochinese Refugees (CPA) is often cited as a positive example of burden-sharing. Highly controversial in its time, today the CPA is one of UNHCR‘s great success stories. As the then UNHCR Legal Advisor for Asia, I played a part in drafting and implementing the CPA. In 1979, ten years before the CPA came into being, UNHCR had brokered an arrangement under which those fleeing Indochina were given temporary asylum in refugee camps in Southeast Asia and then resettled in western countries. Thanks to its geopolitical drivers (strong western support for people fleeing communist Vietnam), the agreement worked well for more than a decade. But by the late 1980s global political interests had begun to shift, motives for flight had changed, and as resettlement numbers fell and refugee camps filled up faster than they were being emptied, the commitment of first asylum countries weakened. The CPA was an attempt to avert a humanitarian disaster through cooperation among countries of origin, first asylum, and resettlement. It combined “deterrence measures” (orderly departures from Vietnam and Laos, mass screening of asylum seekers who arrived spontaneously and orderly return of those whose claims were rejected) with “protection measures” (temporary asylum for all arrivals and resettlement of those determined to be refugees). It was a pragmatic but principled response. Europe would do well to draw some lessons from the CPA on principled pragmatism. Confronted with over 1.5 million asylum seekers in the past year, the European common asylum system has virtually collapsed. Europe’s shared values have come under attack. The right to seek asylum spontaneously is effectively dead in the heartland of the 1951 Convention. While some EU states have strengthened operations to rescue people at sea, others have introduced harsh land border controls, shifting rather sharing the humanitarian burden and jeopardizing free movement within EU’s borders—a critical factor in Europe’s economic health. The EU-Turkey deal to stem the influx into Greece is a political compromise born out of desperation to save the European Union as much as the refugees. Like the CPA it contains inter-locking commitments on deterrence, protection and durable solutions but unlike the CPA it is not “comprehensive” or ambitious enough in its humanitarian aims. In terms of deterrence it deals with only one route, which could just encourage people to take other more hazardous routes. In terms of protection and durable solutions, it may be too little, too late. Screening of new arrivals in Greece will take time to set up. Returning people to Turkey will be difficult. Resettling refugees from Turkey will need to be accelerated as well as significantly expanded if it is to have any effect on irregular movements. For human rights advocates there is also the question: is Turkey a safe first country of asylum? Yet, the most striking difference between the CPA and the EU-Turkey deal is the absence of the country of origin from the arrangement. There is no mention of Syria’s obligations or the commitment of EU states and Turkey to promote a peaceful political settlement. No solution to a refugee problem can be effective if it ignores the situation in the country of origin. People have the right to remain in safety in their own homes and to return home safely and voluntarily. Hathaway’s silence on that point is a fatal flaw in his proposal.